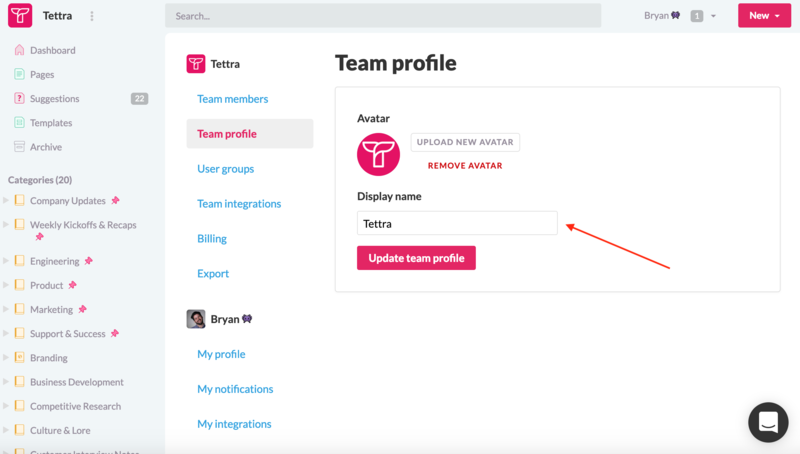 Your team URL is the address prefix you use to access your wiki (for example, https://app.tettra.co/teams/[team_name]). 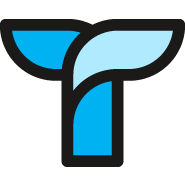 To change your Tettra team's URL send us a chat message (lower right corner) with what you'd like in the [team_name] portion. We'll verify that name is available and make the change for you! If you'd like to change the logo that appears for your team in the upper left, navigate to your Team Settings (User Dropdown > 'Team Settings'). Select 'Team Profile' in the lefthand menu and click the 'Upload New Avatar' button. This will allow you to select a file from your device.